Type 1 diabetes is when the pancreas doesn't produce any insulin and the body's immune system destroys the insulin producing cells in the pancreases. 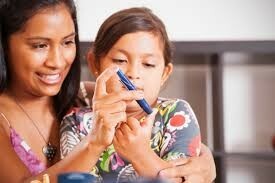 When knowing you have diabetes it will be a life changing moment. You have to take a lot of medicine, go to the doctors, exercise and have a healthy balanced diet. It is a lot to take in. 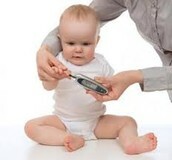 When having diabetes you have to check your blood levels 2 to 4 times a day by doing SMBG or A1c. You would have to prick your finger to see your blood level and then would would have to inject insulin in your blood to keep your blood levels normal. Exercising and eating healthy meals is the key when having diabetes. For exercise you can do anaerobic exercise and strength training. A balance diet consist of no-starchy vegetables, fresh fruits, lean proteins, whole grains, should avoid full-fat dairy products, and monounsaturated fats. All of these will give you a great balance life with your new life style. There are certain professions you should meet to make sure you know what to do and help you on your new life style. You should meet with a Dietitians that will organize a food plan for you so know exactly what and when to eat, a CDE will be your ride or die person they will guide you and help you with anything you need. You should also meet with a Ophthalmologist now that you blood level can change drastically you need to make sure that your eyes aren't getting affected as well because of that. This is a new start and even if it might not be the best thing ever you can make it a good experience for others along the way.